The American Academy of Emergency Nurse Practitioners (AAENP) promotes high quality, evidence based practice for nurse practitioners providing emergency care for patients of all ages and acuities in collaboration with an interdisciplinary team. EB Medicine and AAENP have partnered together to provide discounted subscriptions to Emergency Medicine Practice and Pediatric Emergency Medicine Practice for AAENP members. Learn more here. The mission of the Society of Emergency Medicine Physician Assistants (SEMPA) is to advance, protect, and promote the role of EMPAs and to support the professional and personal growth of EMPAs through education, advocacy, networking, and research. EB Medicine and SEMPA have partnered together to provide discounted subscriptions to Emergency Medicine Practice and Pediatric Emergency Medicine Practice for SEMPA members. Learn more here. The Emergency Medicine Residents' Association (EMRA) is the voice of emergency medicine physicians-in-training and the future of our specialty. EB Medicine and EMRA have partnered together to provide free online subscriptions to Emergency Medicine Practice and Pediatric Emergency Medicine Practice for students and residents. In addition, EMRA fellows and alumni can receive a discounted subscription. Learn more here. MDCalc is the #1 medical reference for clinical decision tools and content used by over one million physicians globally - including more than 50% of US doctors - each and every month. Since 2005, MDCalc has been an essential part of the clinician's workflow to help achieve better patient outcomes. Their evidence-based tools and content written by physician experts support 35+ specialties and cover 200+ patient conditions. While primarily serving clinicians in North America, MDCalc have growing presence globally with users in over 100 countries. MDCalc's founders are two practicing Emergency Medicine physicians: Dr. Graham Walker and Dr. Joe Habboushe. 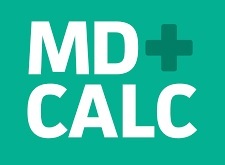 EB Medicine and MDCalc have partnered together to produce Calculated Decisions - a supplement that reviews medical calculators and risk scores. To view free issues of Calculated Decisions, visit our Browse Topics page and click the "Calculated Decisions" buttons. MDCalc users also get exclusive discounts on EB Medicine resources; learn more here. MDCalc recently began hosting theNNT.com – which publishes critical reviews of the evidence behind clinically-relevant questions, designed to be used at the bedside and beyond to help us make the best evidenced-based decisions for our patients. "NNT" stands for the “number needed to treat,” a way to quantify the absolute benefit of a treatment, such that it can be weighed apples to apples against the NNH, or "number needed to harm". EMCrit is devoted to Maximally Aggressive Care: Maximally Aggressive Curative Care and Maximally Aggressive Palliative Care. To that end, EMCrit brings the best evidence-based information from the fields of critical care, resuscitation, and trauma and translate it for bedside use in the Emergency Department (ED) and the Intensive Care Unit (ICU). Every two weeks, EMCrit posts a full ~20-minute podcast. In between, the site gets filled with blogposts, links, and EMCrit Wees (miniature podcasts). CME is available for EMCrit Podcasts. EMCrit listeners also get exclusive discounts on EB Medicine resources; learn more here. 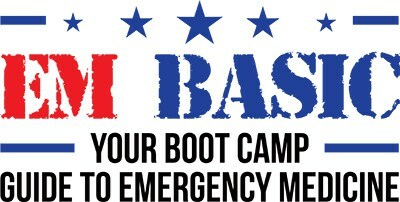 EM Basic is made for medical students and emergency medicine interns to review the basics of emergency medicine. Each podcast starts exactly how a patient interaction in the ED starts: with a chief complaint. From there, EM Basic covers the important points of the patient’s history and physical exam, the workup, and the basic treatment and disposition of each chief complaint that you will encounter in the ED—all in ~30 minute, easy-to-digest audio podcasts. EMBasic listeners also get exclusive discounts on EB Medicine resources; learn more here. EvidenceCare was conceived in 2014 to solve a fundamental need for healthcare providers to find and quickly digest the latest treatment guidelines. Our partnership allows EvidenceCare to reference EB Medicine’s esteemed content as it delivers patient-specific clinical decision support at the point-of-care, beginning with 18 of the most frequent, complex, and costly protocols faced by Emergency Room physicians. The tool’s integration with EB Medicine’s content is seamless to the provider, giving healthcare clinicians access to important diagnostic and therapeutic recommendations in multiple ways. In addition to delivering the content at the bedside, in a manner that is specific to the patient, users can link out to subscribe or to log into EB Medicine’s full publications and resources. To access EvidenceCare for free, visit www.evidencecare.com. 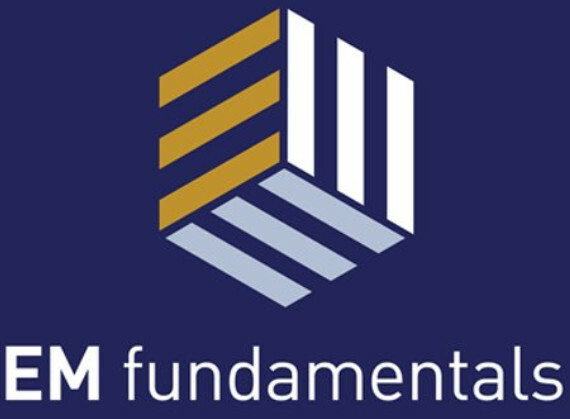 EM Fundamentals is a mastery learning emergency medicine curriculum featuring curated online resources, customized small group activities, and simulation-based mastery learning exercises. Using innovative, pragmatic, and academically rigorous methods, EM Fundamentals strives to ensure all emergency medicine practitioners master the most important topics in our specialty. Leaders of education programs can contact us (@EMFundamentals) for curriculum deployment, small group, and simulation resources. EB Medicine and EM Fundamentals have partnered together to include content from Emergency Medicine Practice and Pediatric Emergency Medicine Practice in the EM Fundamentals course. Emergency Medicine residents and students have full online access to these journals. Residents: Get free access to EB Medicine here. STM is the leading global trade association for academic and professional publishers. It has over 150 members in 21 countries who each year collectively publish nearly 66% of all journal articles and tens of thousands of monographs and reference works. STM members include learned societies, university presses, both subscription and open access publishers, new starts and established players. EB Medicine is an STM member.